As a prolific classical contemporary solo piano composer and artist, Holly writes from a place of deep authenticity and transports her audiences into a receptive atmosphere of meditative calm. Holly’s fourth album, “Art On The Piano,” is set to be released May, 2019. “Art On The Piano” is a collection of light, quiet transcendental melodies with gentle chordal accompaniment; a neoclassical impressionistic study that is relaxing and healing for the listener. 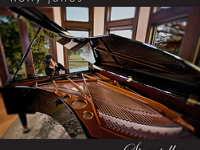 Holly’s solo piano debut album, “Traveler” was released in 2003. 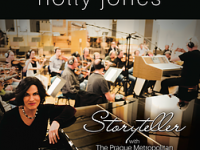 Her second album “Storyteller” was released in 2016, followed by the orchestrated version of “Storyteller” in 2017, by Ludek Drizhal, featuring Holly at the piano and the Prague Metropolitan Orchestra. C. Diff., a very serious bacterial infection of the gut that can become fatal. She was taken to the hospital with a blood pressure of 80/40 and described herself as dying, afraid to go to sleep because she might not awaken. Her attuning father brought her a Walkman with Holly’s CD “Traveler” and told her “just go where the music takes you”. In her dream, the Lord’s hand came down to cradle her. When she awakened, her fever was gone, and she was discharged as fully recovered the next day.